Ribbons of mesh roll and flow across the ceiling. 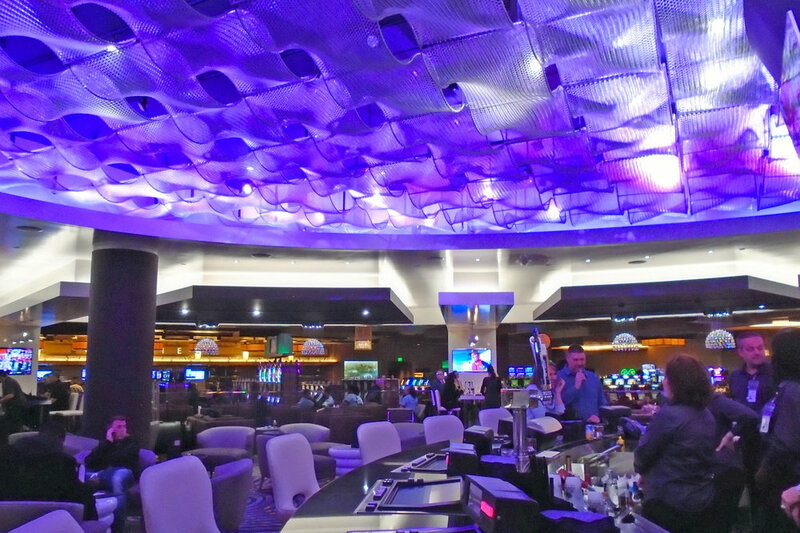 When the new AXIS Lounge opened at the MGM Grand in Detroit, the dynamic Kaynemaile ceiling was the stand-out feature. Ribbons of mesh roll and flow across the ceiling above the circular bar. Kaynemaile's Water Clear mesh works effortlessly with lighting, giving endless options for world-class entertainment design.